Nearly 42,000 architects, interior designers, facilities planners, furniture dealers, and distributors converged on NeoCon, the A&D industry’s largest exhibition of office, residential, health care, hospitality, institutional, and government design products. 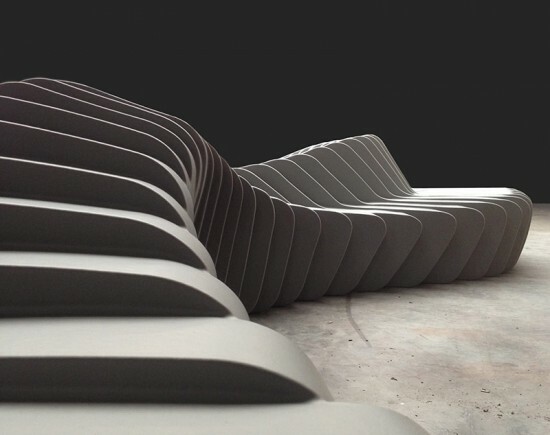 Held from June 10–12, the show included education components and keynote presentations from Bjarke Ingels, founder of BIG; Michael Vanderbyl, principal of Vanderbyl Design; Holly Hunt, president & CEO of Holly Hunt; and Lauren Rottet, interior architect and founder of Rottet Studio. AN was present to cover a handful of educational seminars and sessions (see our live tweets from Ingels’s presentation on our Twitter feed), and we scoured the showrooms in search of 2013’s new product trends. Following are a few we saw at the show. Manufacturers touted a vibrant range of colors across their new product collections. Some say this is indicative of a sustainable economic upturn, while others are just sick of playing it safe. A collection of adaptable seating and tables for education environments from American Seating Company was designed with the help of color expert Laura Guido-Clark. As an expert in the color, material, and finish of consumer products, she helped select a palette of 15 colors and 450 fabric options in colorways that improve the learning environment. 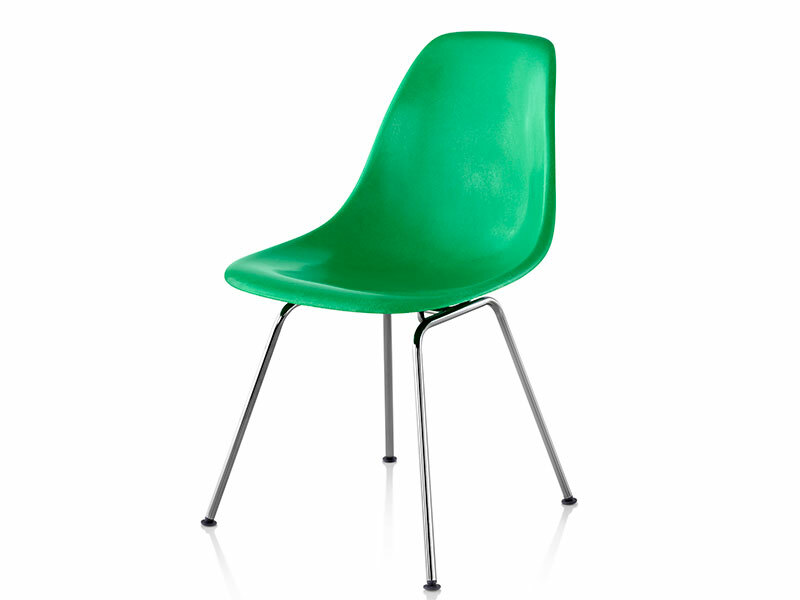 Thanks to advances in sustainable manufacturing technology, Herman Miller reintroduced the molded plastic Arm and Side chairs in fiberglass. A reformulation of the collection’s color pigments have also facilitated a commitment to the original nine color options envisioned by the Eameses. Both models are available with a wire, dowel, four leg, stackable, or rocking base. 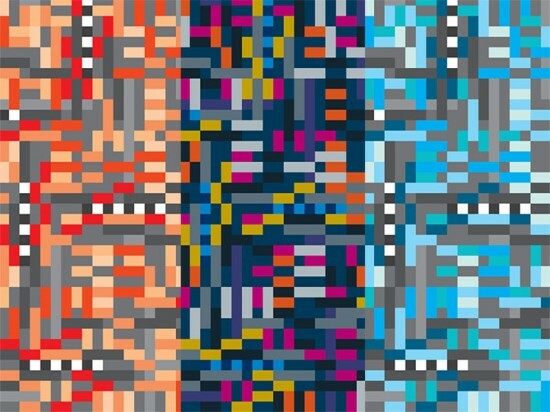 The Alejandro Cardenas–designed collection of bright colors and graphic patterns was inspired by a song from one of the designer’s favorite bands: My Bloody Valentine. 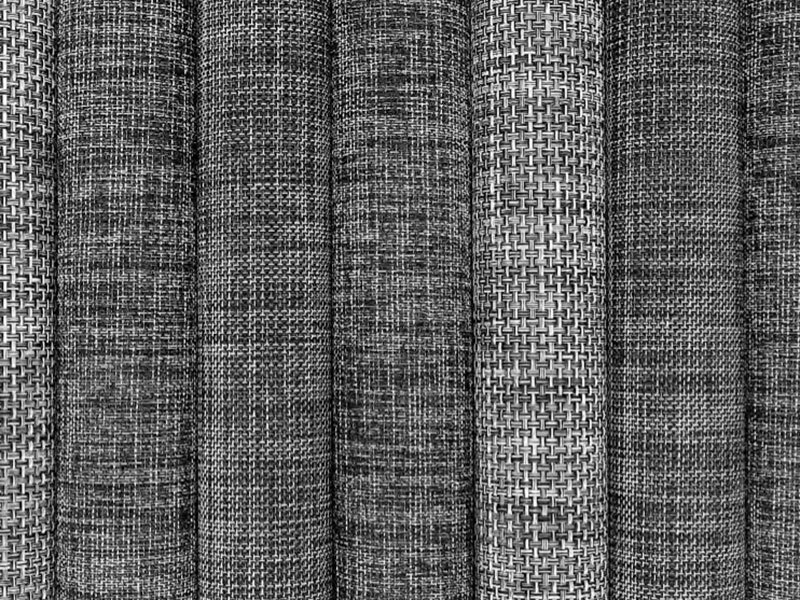 The song’s rhythm was translated to texture on a textile of 100 percent cotton. The collection exceeds 60,000 Wyzenbeek rubs. 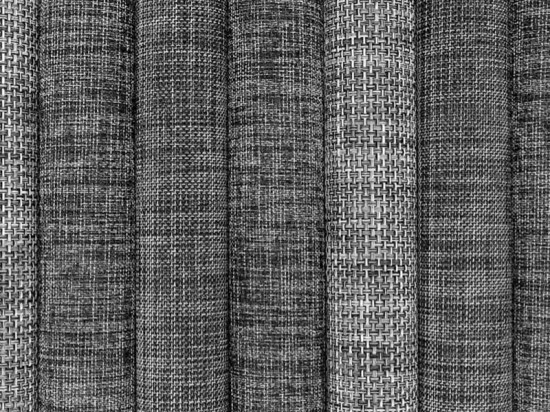 Design complexities are increasingly achieved via digital design and fabrication methods, and that trend was very much present at NeoCon this year. From furniture to finishings, parametric design visuals were everywhere—and not only in the abundance of hexagonal designs we saw on each floor of the Mart. 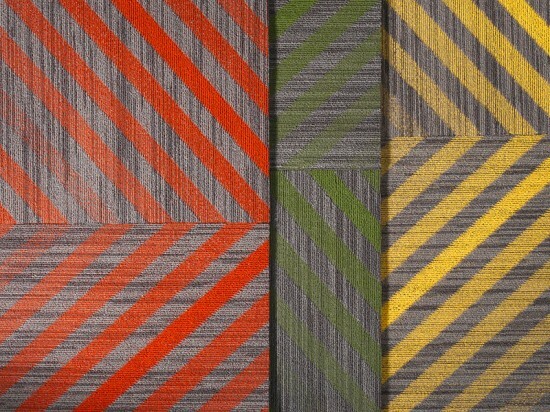 Street art finds its way to interior finishes with Off the Wall, a pattern from artist Aakash Nhihalani, who uses neon painter’s tape to create illusions of depth in urban environments. These dimensions were translated algorithmically to a linear pattern in Off the Wall, part of the Street Thread Collection, and can be reconfigured to suggest way finding, define an area within a room, or recreate classic textile patterns. 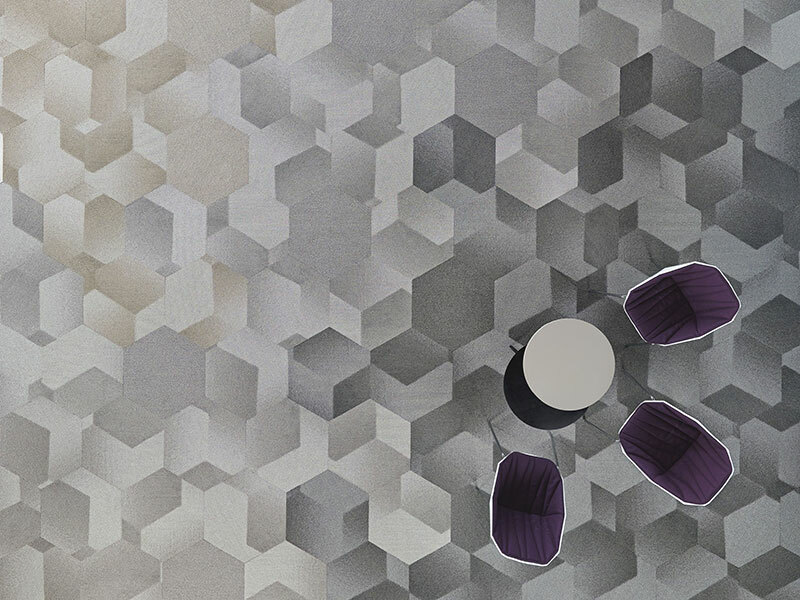 Bold portrayal of the hexagonal trend was exhibited in Shaw Contract’s aptly named carpet tile collection. 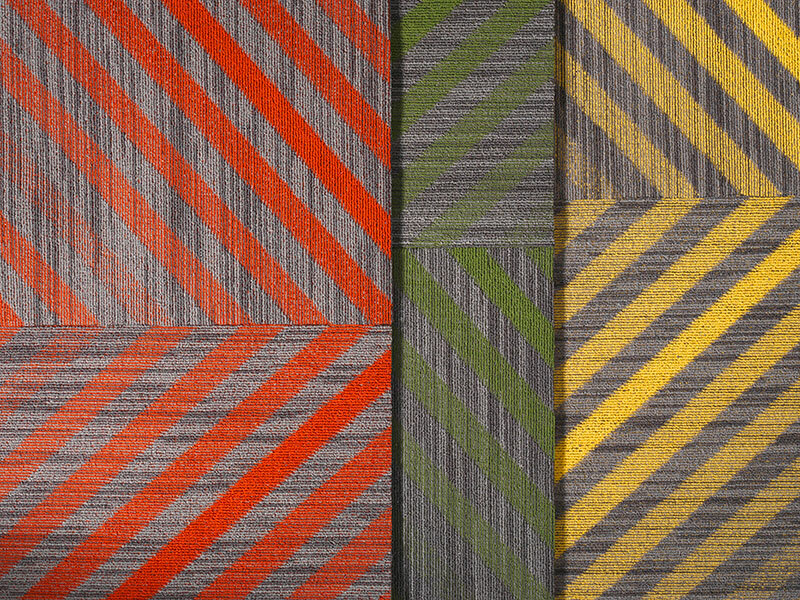 Developed in collaboration with Chris Heard and Stephen Wells of Atlanta-based design firm Hendricks; John Peterson of Public Architecture; and Michael Murphy of MASS Design Group, six-sided geometric patterns are generatively configured across each tile to continue the pattern in any direction. 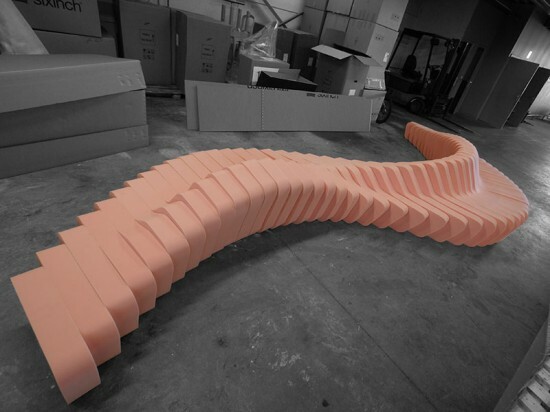 At nearly 20 feet in length, the curvilinear Cliffy 6000 is part of SIXINCH’s U.S. debut of contract-ready, three-step foam-coated furniture. Designed by Rainer Mutsch, repeating sections of the bench curve smoothly along both planes for back-supported seating, lounging, and perching. Sustainability commitments are not the differentiating factor they once were but manufacturers went beyond predictable promises with their 2013 product launches. In addition to the burgeoning use of rapidly renewable materials, companies looked beyond land masses and focused on preserving the ocean’s ecosystems. 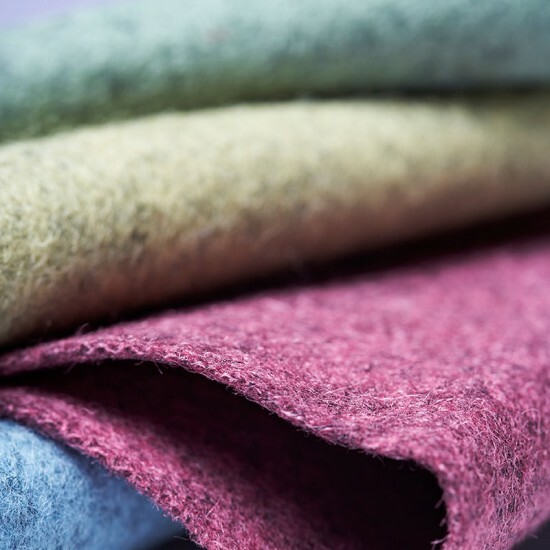 Available in 60 new shades, Blazer is made with Laneve-branded wool that features a trace code to identify the material’s source in New Zealand. For every yard purchased, Camira donates to the New Zealand Whale and Dolphin Trust to help protect the endangered Hector’s Dolphin population off the nation’s Banks Peninsula. 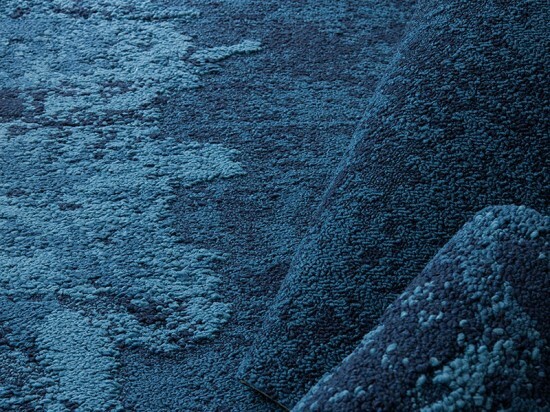 Chilewich has substituted petroleum-based plasticizers for TerraStrand, a phthalate-free fiber made from renewable vegetable compounds. Combined with its PVC-free BioFelt backing system, Chilewich products now boast lower greenhouse gas emissions and a lower carbon footprint than traditional vinyl products. Designed by David Oakey to convey the movement of water, the yarn fluff on both 20-square-inch tiles and 10- by 40-inch planks is made of 100 percent recycled content from Interface’s ReEntry program. 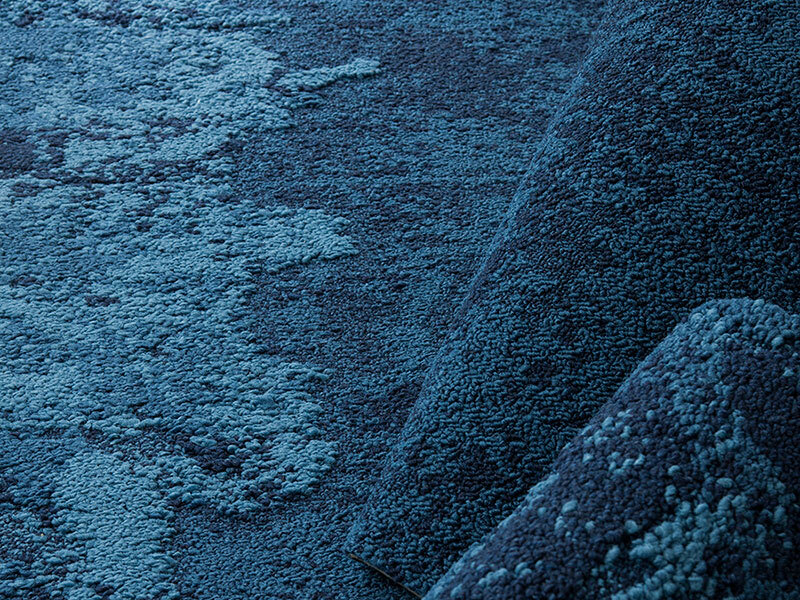 Carpet fibers will eventually constructed from nets gathered from the Net-Works project, a joint venture in the Danajon Bank area of the Philippines with the Zoological Society of London that collects and repurposes the discarded fishing nets from some of the world’s poorest fishing communities. The effect technology has had on the workplace is undeniable. The ability to work anywhere at any time has changed not only the way we work but where we work and the new corporate environment accommodates everything from advanced integration to stylish simplicity. Developed with Obscura Digital, Bluescape is a cloud-based software and surface that can be accessed on multi-panel high definition touch screens, laptops, and mobile devices simultaneously from anywhere in the world. More than 160 acres of visual data can be stored within the system and does not require a WiFi signal to function across long distances. 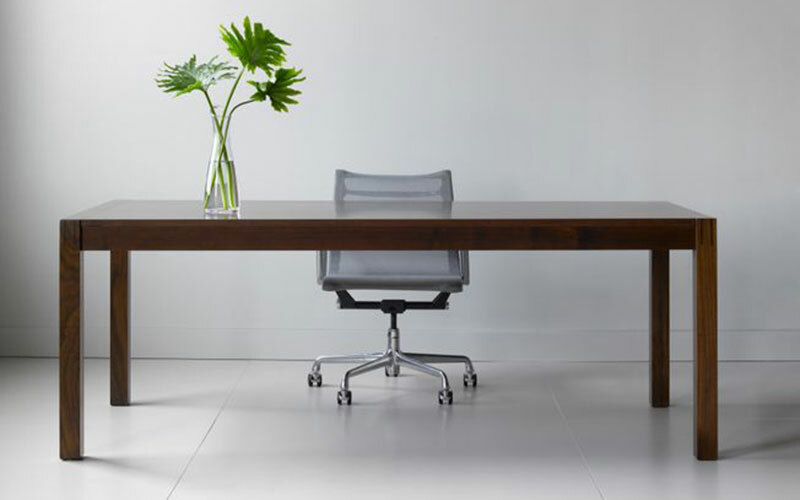 Taking a low-tech approach to workplace technology integration, Adam Rogers’s design for the Element desk’s classic lines are uninterrupted by cord management strategies. Made from solid, domestically sourced hardwood, hollowed desk legs hide desktop wires and a keyboard drawer with a collapsible front conceals multiple power and data ports. 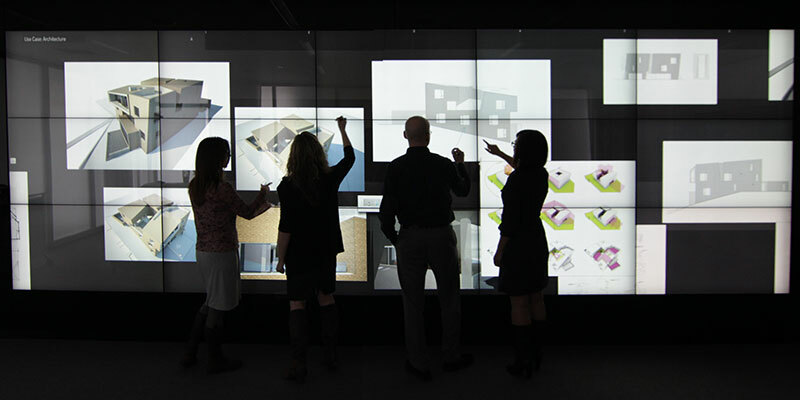 Vertical Intelligent Architecture, or V.I.A., makes use of the most underutilized real estate in the office: the walls. 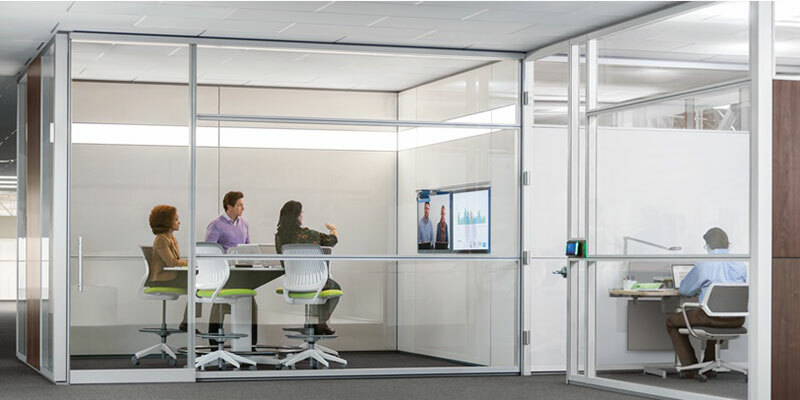 Video conferencing capabilities, writable and tackable surfaces, multiple display screens, and acoustical privacy are integrated into a modular system of walls that can be reconfigured and adapted to automatically meet the way people work with embedded sensors, activators, and microprocessors.